Card may be used for purchases at Toys“R”Us and Babies“R”Us stores in the U.S., Puerto Rico and Canada, or at Toysrus.com or Babiesrus.com. Remaining value on a lost, stolen or damaged card may be replaced with proof of purchase. 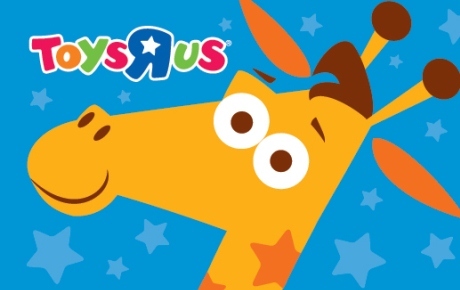 Be young at heart with this Deals Magazine deal for 50% off a $10 Toys "R" Us gift card. With its unbeatable selection of games, learning toys, movies, video games, bikes, action figures, electronics, baby products and more…. Toys “R” Us is truly the ultimate toy specialty store. A favorite destination for kids and grown-ups alike, Toys “R” Us is the one place where you’ll always find something fun for everyone! Allow 7-10 business days for delivery. Toys "R" Us gift card will be mailed to Chicagoland shipping address indicated at checkout.